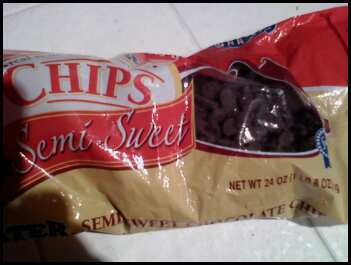 I’m currently snacking on chocolate chips, or ‘gnome droppings’, as they’re called in the northeast. The trouble with an oversized bag of chocolate chips is that there’s no natural stopping point until you reach the bottom. It’s like my mouth is a giant intersection where the light never turns red. I think I need my candy compartmentalized. I stayed in San Diego tonight, but had a great talk with Dan on the phone about the campaign, the direction of the record, and what we need to do to finish it. It weird to think, after three steady months, that we’ve only got another week or so of tracking (recording). We’ve gone the entire time without bringing cameras or video into the studio, but maybe this week we’ll film a tiny bit for posterity. After that, the songs get mixed, mastered, the album art designed (assuming we raise the money we need, of course, which I’m confident we will). Then the albums will be pressed and duplicated. Then Laura will start pitching the album to the press, and we’ll start planning the fall tour and the record release. It’s always amazing to see songs that start as little ideas in your mind, become words, then recordings, and then tangible CD’s you can hold in your hand. Of course, everything humans have ever built started in someone’s imagination. It was important to me to have tangible copies of this CD with inserts and lyrics and packaging that you can hold and explore, regardless of whether everyone buys it that way. I think with iTunes and digital music, we miss out on that really cool sensation of being able to hold a project in your hand and discover it with more than one of the senses. I wanted to make sure this album had that tangible element, too, for those who want it. I want to thank those of you who contributed to the campaign during these first couple of days. We had a bit of a slow start, but we did receive some generous pledges, and I think next week things will pick up even more steam. $18,000 may seem like a lot of money, but keep in mind that it’s not uncommon for a major label to spend half a million dollars or more on a new release. I think we can do more with less, and I know we’ll get there. Remember, if every one of you who knows me on Facebook contributed only $10, we’d reach our goal instantly. Happy weekend, everyone, and thanks for having my back. I’m going to go rest my voice for next week and sleep off the chocolate hangover.